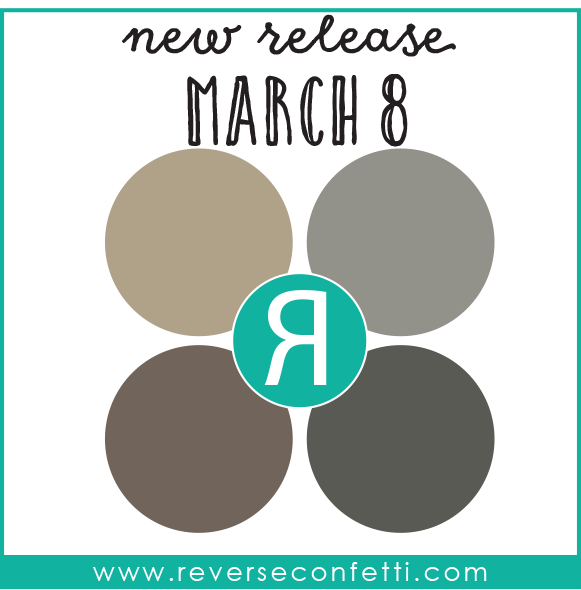 Welcome, 'Fetti Fans to Day 1 of the March Release for Reverse Confetti! This month's release is really fabulous! 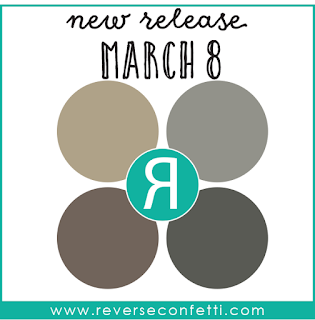 we're also releasing new patterned paper & four new colours of cardstock & ink! with coordinating Confetti Cuts called Boho Vibes. Zig Clean Colour Real Brush Markers and a water brush. I stamped the sentiment (also from Boho Vibes). in Iced Aqua Ink on Iced Aqua Cardstock. Love those pretty blue feathers floating down the card! Pretty! Love the colors you chose for the feathers! Gorgeous colors - love this! As always, I love your cards, Leigh! Love the colors! I love your falling feathers... such a dreamy look for you card. Such a simple beautiful card. Great card! 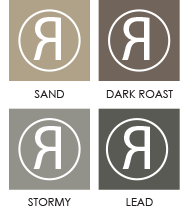 I love those colors! Very pretty! Love the simplicity of your feathers! Another gorgeous card. Love the blues. Very pretty card! Love the colours! Love the use of white space, very dramatic! Love the painting of the feathers...turquoise and deep blue are perfect, and the strip of stampied turquoise paper. Great card! Beautiful card! Love the colors! What a great release! Nice. Love the pop of color. Love the vivid colors of your feathers! I have not gotten into feathers much, but, this set has some real possibilities. Thanks for sharing this. Feathers are awesome. Nice release. 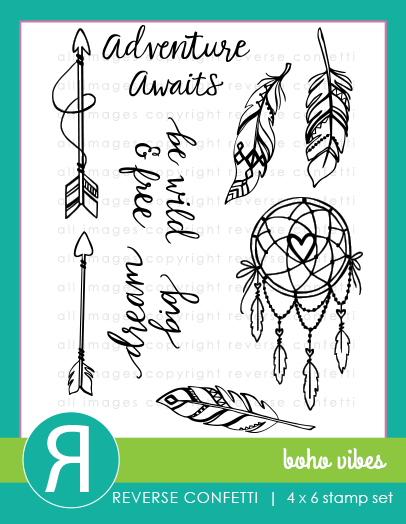 I just love the feathers and that aqua border of arrows. I love the colors, details, and design. Another great release! The feathers are beautiful, such a pretty card! Pretty card, love the colors. Love the feathers anyway, but your beautiful colors make them really pop on this card! Very nice card. Love the feathers falling. Love the colors in your card. Wonderful colors on this airy card! Beautiful card with a pretty color combo! Loving this stamp set! Great card! How lovely! wonderful movement to those feathers! LOVE the falling feathers! SO pretty! Great card! That boho vibes set is my favorite so far! Love what you did with it. the drifting feathers are beautiful. Love the colors of the feathers. Marvelous card Leigh! I like the softly floating feathers! Fantastic, Leigh! Love the colors and movement of this card. Love your feathers! Such a pretty card! Love the pop of blue!